The mountains in your backyard! 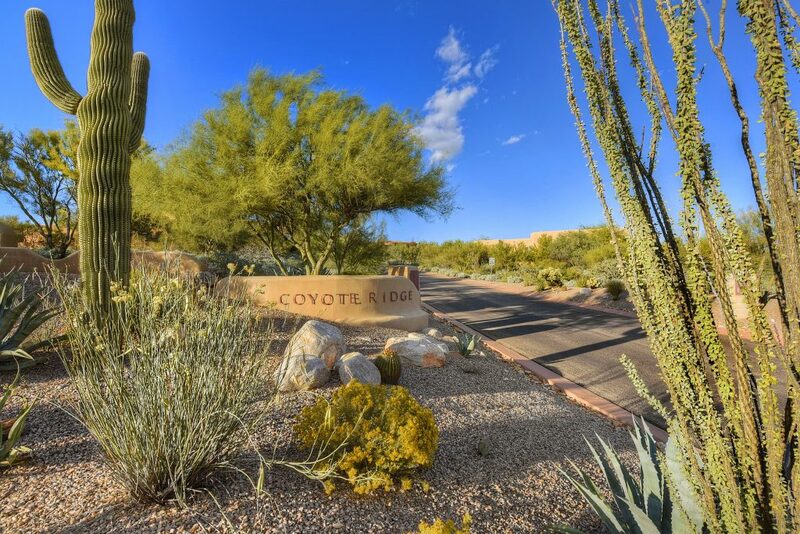 The luxurious gated community of Coyote Ridge in Oro Valley is your new home. This home is a blend of indoor and outdoor living areas that is a true seamless design. Access to this one of a kind home is via a private drive to the over-sized 3-vehicle garage that features skylights and epoxy flooring. 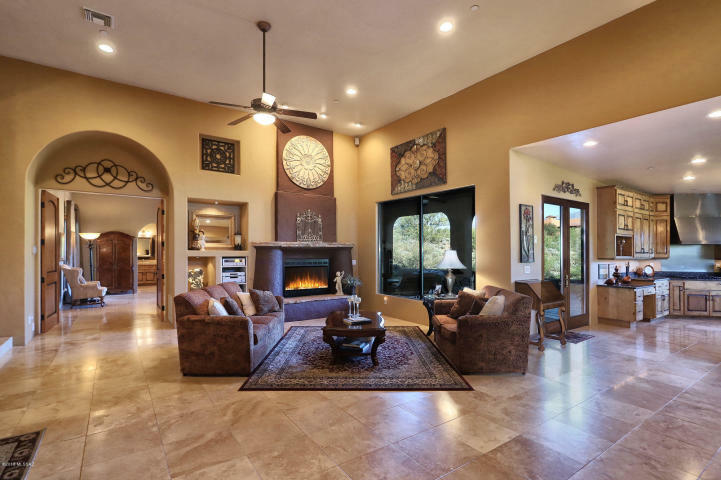 This is your opportunity to embrace this custom home, which reflects soft contemporary southwestern architecture. 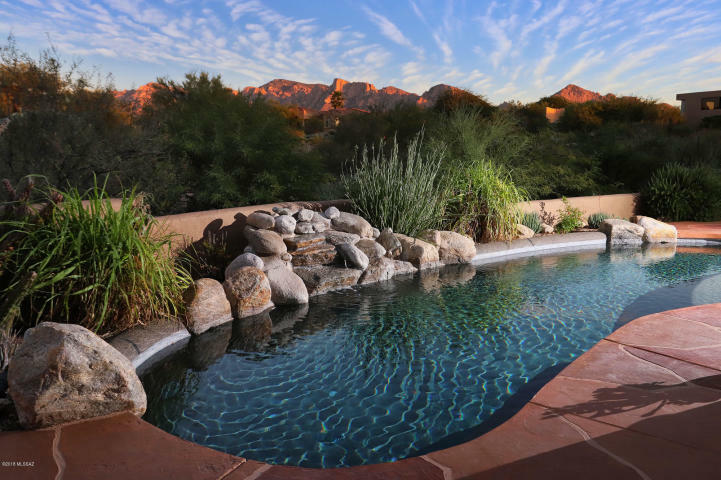 This home is on a privately-positioned 1-acre premier site with amazing views of Pusch Ridge that provide sunsets that paint the world in hues of purple, red and yellow from the formal dining room, kitchen or the outdoor patio. A lot of attention to detail is involved in every space of this beautiful 3,859 sq. ft. masterpiece of luxury living features 3 bedrooms and 2.5 bathrooms. The secondary bedrooms are linked by a Jack-and-Jill bathroom. Travertine countertops and Jacuzzi tubs are featured in the master and guest bathrooms. For people who love to cook this kitchen is equipped with stainless steel appliances and granite counter tops. The kitchen features knotty alder distressed cabinets, a walk-in pantry and a huge prep island that will please everyone. The island also features a breakfast bar and a built-in vegetable sink. This kitchen is perfect for preparing family meals or for entertaining larger group of family or friends. 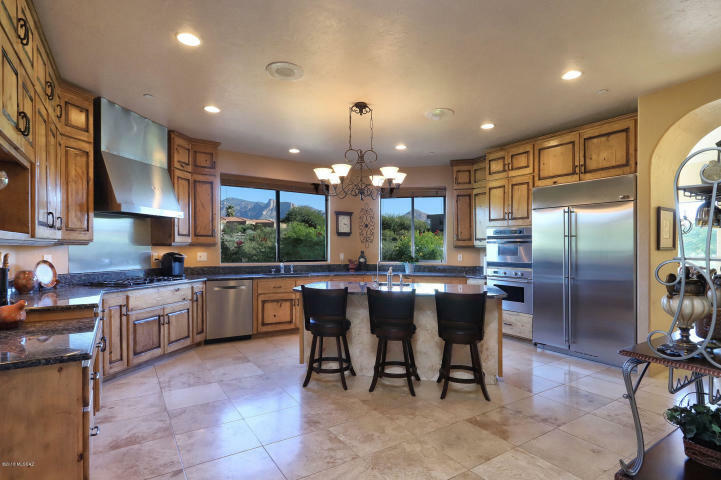 The kitchen flows perfectly into a formal dining room that has unobstructed views of the Catalina Mountains. The expansive great room features 14 ft. ceilings 8 ft. knotty alder doors, a floor-to-ceiling gas log fireplace that is accented with flagstone. The great room has lighted display shelving and sealed travertine tile throughout. Just off the great room is an entertainment media/theater room that features surround sound. Just imagine relaxing in a theater-like experience in the comfort of your own home. Grand double doors are your entry to the superb master suite which includes a full-scale walk-in closet, soaring ceilings, a spa-like master bathroom with an executive height vanity with two custom sinks set in travertine. There is an oversized jetted tub and a huge walk-in shower with multiple shower heads. French glass double doors lead to a covered veranda where you may relax in a pebble-tech pool. 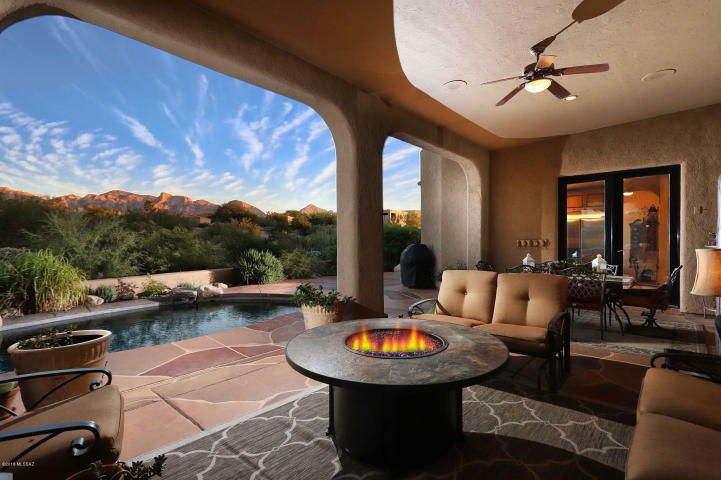 You will love to sit on the patio and savor the rugged beauty of Pusch Ridge above the trees alongside the neighboring wash.
You will also enjoy the wildlife that emerges from the desert including coveys of Gambel’s quail, finches and desert wrens. Occasionally, you will hear the howl of a coyote as night falls or a bobcat will slink atop the back wall. And, families of javelina stop by to munch on the prickly pear pads. The seller calls this home “a place to experience peace at the end of a work day, a retreat from a busy world.” The seller calls this home a “true gift.” This is a gift that you should give to yourself.